In the mid-Eighties, I was working in Torquay and went into the local record store looking for a particular album. While I was in there I was incredibly impressed by the music that was being played over the shop’s speakers, so much so that in the end I stopped looking for the album I had originally gone in for and instead asked who the band was. I was told that it was Dokken, and it was their third release ‘Under Lock and Key’. I had never heard of them but walked out of the store with their CD under my arm – the reason it has stuck in my mind it is the only time I have ever bought an album having heard it being played in a shop. Over the years it is safe to say that Don Dokken and George Lynch haven’t always seen eye to eye, and although they have released some great albums together, the line-up has been rather fraught, to say the least. So it was something of a surprise to hear that not only had the classic line-up got together for some shows in 2016 but that they had recorded a new song as well as a couple of acoustic numbers. Finally, it has all been put together by Frontiers Music, and we can hear the band as it has always meant to be, these four and no-one else. I do have a minor niggle that the live albums opens with the new studio track, as that should be at the end of the album instead of the beginning, and to be honest, it isn’t the classic they would all want it to be, but when the live set commences then all is forgiven. 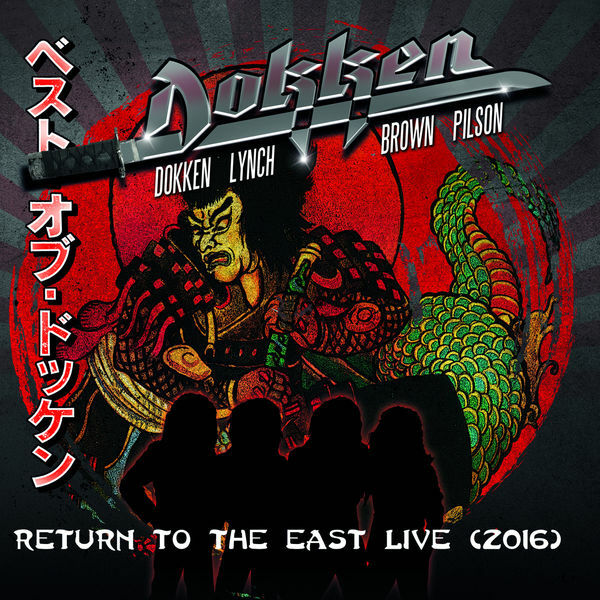 Dokken has never had a strong powerful voice in the way of other singers but does have range, and this very fragility gives them a sound that is quite different to other rock bands. Add to that the chemistry between all four, the fact that Mick Brown and Jeff Pilson have really strong voices, and that George Lynch is still a bona fide guitar god, then you have a band who thirty years after they exploded into the scene are still able to produce the goods. Listen to “In My Dreams” or “Breakin’ The Chains” and you will see exactly what I mean, these guys have the hooks and the balls and it is just a shame that they just can’t keep it together, but perhaps it is being on the edge that provides the spark. Fast forward to 2018, and Lynch and Pilson are currently not involved, as they have reverted back to the line-up immediately prior to these shows with guitarist Jon Levin (who has been in the band since 2003) and bassist Chris McCarvill (since 2015), but who knows for the future? Until that time, if you want to hear Dokken as they were always meant to be, then this is the album to get. Melodic hard rock rarely gets much better than this.